But the Kings Roman Casino in Laos proves that normal rules of criminal behavior don’t always apply to Southeast Asia. At the end of January last year, the United States Treasury Department sanctioned Kings Roman, its owner, Zhao Wei, and the “Zhao Wei Transnational Crime Organization,” alleging the casino was used to launder money and traffic drugs, among other serious crimes. 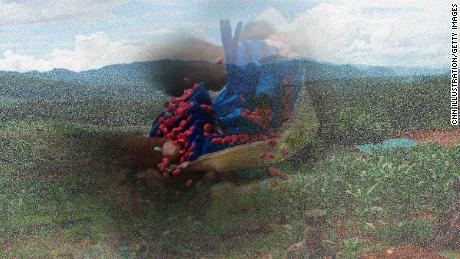 Zhao has been accused of operating with near impunity inside a Laotian special economic zone, a strategic location with limited oversight. 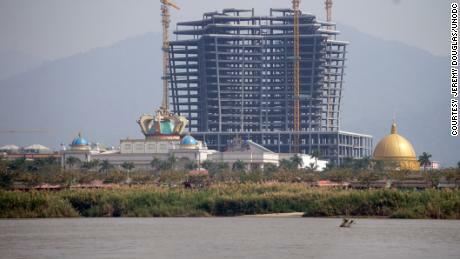 The casino sits right next door to Myanmar and Thailand, a border area called the Golden Triangle notorious for its role in the global drug trade. It’s been one year since then. Not only is Kings Romans still in business, but it is expanding. And it’s not alone. Cambodia, Laos, Myanmar and the Philippines are home to around 230 casinos — 150 have been licensed in Cambodia alone, a 53% increase from 2017, according to media reports. Business is booming. Gamblers are increasingly flocking to casinos in Southeast Asia in addition to Macau, a special administrative region in southern China considered Asia’s gambling capital. Casino revenues in Macau appeared to spike at the end of 2013 at $45 billion — several times that of Las Vegas. Around that time, reports of organized crime involvement in Macau’s casino industry became increasingly public. The city responded by cracking down on corruption and money laundering. Business subsequently dropped, and then dozens of casinos popped up across Southeast Asia. Authorities suspect many of them of criminal involvement like Kings Roman. It is clear a “displacement” has taken place with organized crime moving operations to countries with minimal regulation and oversight. It appears that some countries in Southeast Asia are struggling to properly oversee their casino industries. Licenses are easily obtained and rarely revoked, and there is little to no supervision, due diligence or record keeping. And these are jurisdictions where the integrity and capability of government institutions are often questioned. Not only are casinos in these countries operating with minimal oversight, many are also located in areas known to be under the influence of organized crime like Kings Roman. Large numbers are in and along border and coastal areas with loose or non-existent immigration checks. The scope and sophistication of transnational organized crime in the region has increased dramatically over recent years. Tens of billions of dollars are generated annually from the production and trafficking of illegal drugs, in particular synthetic drugs like methamphetamine. Human, wildlife and timber trafficking also have also proved wildly profitable. As these dangerous businesses have grown there have been ever larger profits to launder. Casinos in these countries are also connected to national banking systems, which are in turn connected to the regional banking hubs of Singapore and Hong Kong. Organized crime and money laundering are a severe threat to the rule of law and sustainable development of the region, but in particular to Cambodia, Laos, Myanmar and the Philippines. 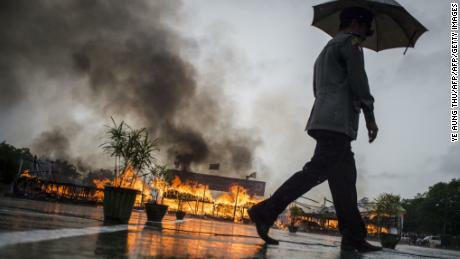 The most visible example is Myanmar, where organized crime groups collaborate extensively with militias and armed groups that operate in the country’s lawless border regions. The money from transnational crime directly undermines peace and stability. Open conflict or not, the challenge to the rule of law in each is real and growing. The rapidly growing and unregulated casino industry in Southeast Asia has, in essence, emerged as a backdoor for organized crime to launder their growing supply of dirty money into the global financial system. Leaders in Southeast Asia now must determine how long that door stays open. They need to recognize that transnational organized crime is a now primary threat to the rule of law and overall well-being of the region. At the same time, the inability or unwillingness of governments to effectively control the rapidly growing casino industry provides criminal groups with a convenient way to launder ever increasing volumes of illicit money into the formal economy. Criminal networks are again showing how quickly they can adapt to — and capitalize on — the changing regional environment and vulnerabilities and corruption in different counties. Governments in Southeast Asia need to acknowledge the situation and assert the rule of law if they want to counter organized crime and money laundering in the region.